Since 2003, the Leslie Cheung fan club Red Mission would put on various activities to commemorate the death of the superstar. They include outdoor concerts, photo exhibitions, and of course, movie screenings. In addition to the screenings of HAPPY TOGETHER and BUENOS AIRES ZERO DEGREE at the Hong Kong International Film Festival, Red Mission is taking advantage of the 20th anniversary of Wong Kar Wai’s DAYS OF BEING WILD by choosing it as the film to screen this year. This year, the screening is at Tsim Sha Tsui’s Grand Ocean Theatre, which is one of HK’s largest cinemas, and one of the few single-screen cinema left in the city. The group put on two screenings of the film over two days - the digitally remastered version on the first day, and the original 35mm film print on the second. I wanted to watch the original film print, but I could only fit in the digitally-remastered print, which I imagined would look crisp, but not as nice as a film print. Of course, the showing was literally packed, which prompted me to show up a little bit early to catch the pandemonium in the small cinema lobby. 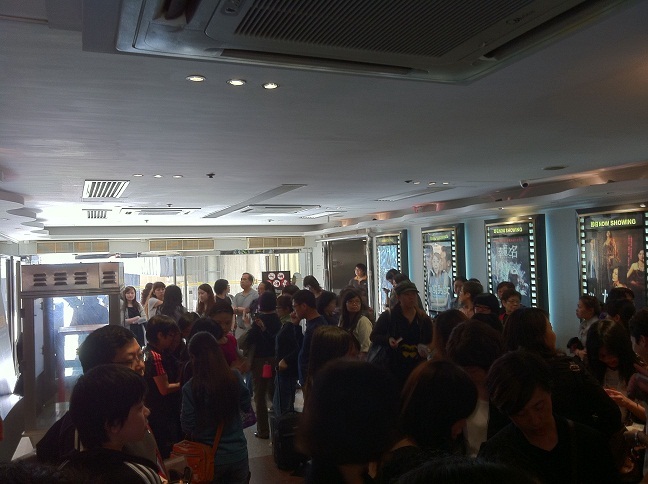 As you can see, most fans that were there was female. I’m thankful I was with one at the time. Just like how CHUNGKING EXPRESS will always be my favorite Wong Kar Wai film, DAYS OF BEING WILD will likely remain my second for a very long time, and Leslie Cheung’s charismatic performance will make up a large part of that. The way Leslie turns the unlikeable Luddy into one of the most memorable romantic leads in the history of Hong Kong cinema is the very definition of a star performance. He commands the screen every time he appears, and there’s probably no better film to showcase Leslie’s talent than this film. 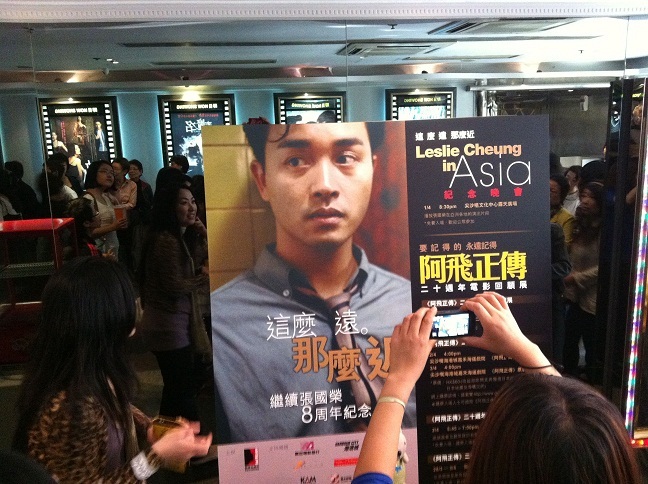 Being a screening by the Leslie Cheung fan club, there were applause at the very first shot of the film, with Leslie walking down the hallway. 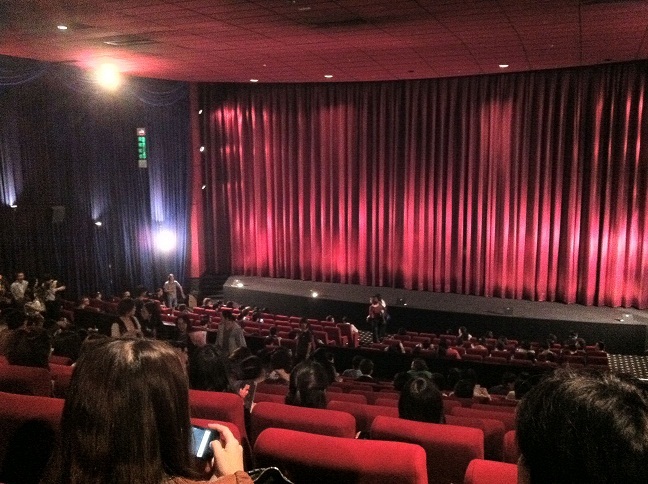 Days before the screening, producer Alan Tang Kwong-Wing suddenly passed away, and there were applause from the audience when his name appeared in the opening credits as well. I’ve never seen DAYS OF BEING WILD on the big screen, and it was absolutely mesmerizing. However, the so-called digitally remastered version doesn’t improve the film too much. 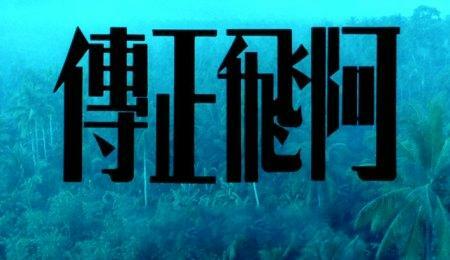 It’s a fine print, even with Christopher Doyle’s intended green tint restored. But the film is shot in very soft tones, which means it’ll never look at that crisp. With that, I would rather see a film print for the grain and the inherently old-school look that comes with a film print. Nevertheless, what better way to remember one of Hong Kong’s best superstars with a screening of one of his best films. 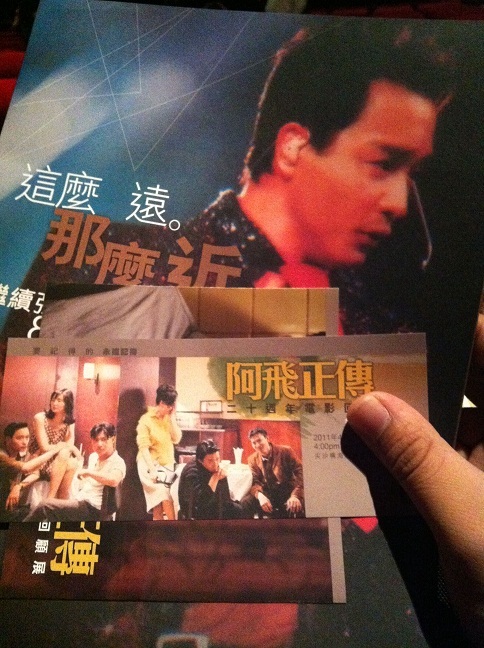 As a fan of Hong Kong cinema, Wong Kar Wai, DAYS OF BEING WILD, and Leslie Cheung, this was a great experience. Whether I’ll be returning to next year’s screenings depends on the film Red Mission will be choosing, but right now I’m already betting I’ll be there. This entry was posted on Saturday, April 9th, 2011 at 12:13 pm	and is filed under Uncategorized. You can follow any responses to this entry through the RSS 2.0 feed. Responses are currently closed, but you can trackback from your own site.